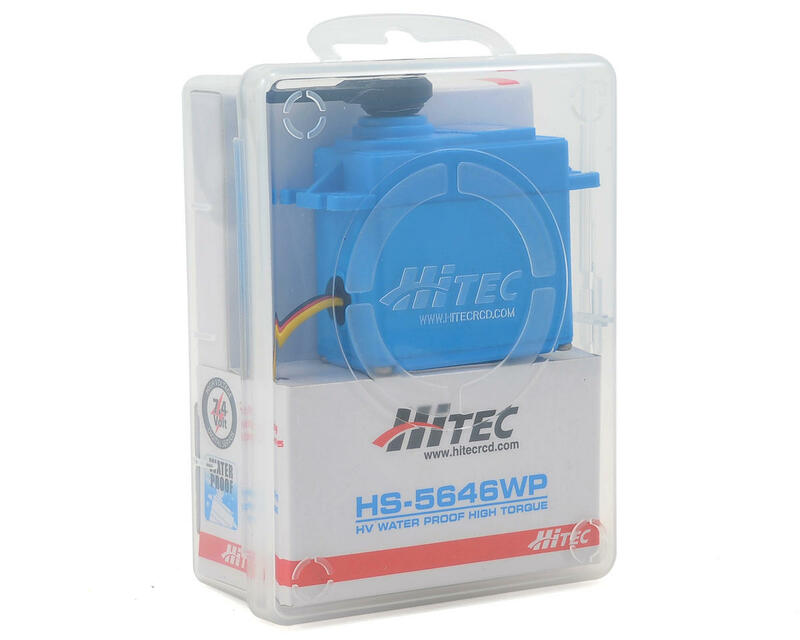 This is the Hitec HS-5646WP High Voltage Waterproof Metal Gear Digital Servo. Hitec waterproof servos have what it takes to keep your radio control vehicle, airplane or robot watertight! With high torque, dual ball bearings and metal gears, these digital waterproof servos feature the industry’s first IP67* rating, ranking them among the most durable and reliable servos for wet conditions. Whether you are manning your power boat, bashing in the mud, directing your underwater robot, or water landing your 25% plane, the HS-5646WP will keep your mind at ease. Great servo, the torque is good enough for a scx10 crawler (1.9 tires) but not recommend for a wraith (2.2 tires) while crawling. I run it at 8.4 volts in my scx10 (1.9 tires) an it does great. An it has been submerged a lot an for long periods of time. Still working fine. This WILL NOT fit a T-Maxx 2.5/Classic at ALL for steering duty!! :'( I tried multiple times and the wires do not exit in the proper spot in the servo's casing (the wires got all pinched and cut up!!) and the casing got all scuffed up (bit larger than standard size?!). It has good torque and specs but you NEED a "glitch-buster" if you use this with either a 4 cell AA battery holder or a 5 cell nimh receiver pack (i use the 5 cell with a rechargable harness). I thought my radio (Spektrum DX4C with sr410 receiver) was severely damaged because the servo and radio system was constantly not responding until i removed the servo and that solved my glitchy radio (glitch buster then fixed the problem). but still, this servo does not fit my model and i had to give away this servo because hobbytown usa (where i bought it) has no refund on special orders... WHAT a WASTE of my hard earned MONEY and TIME.... I bought a savox 0231mg from another hobby shop (where i bought my maxx brand new in 2005)... everything now works and fits great! (but i am out $50 more because i replaced the hitec!) 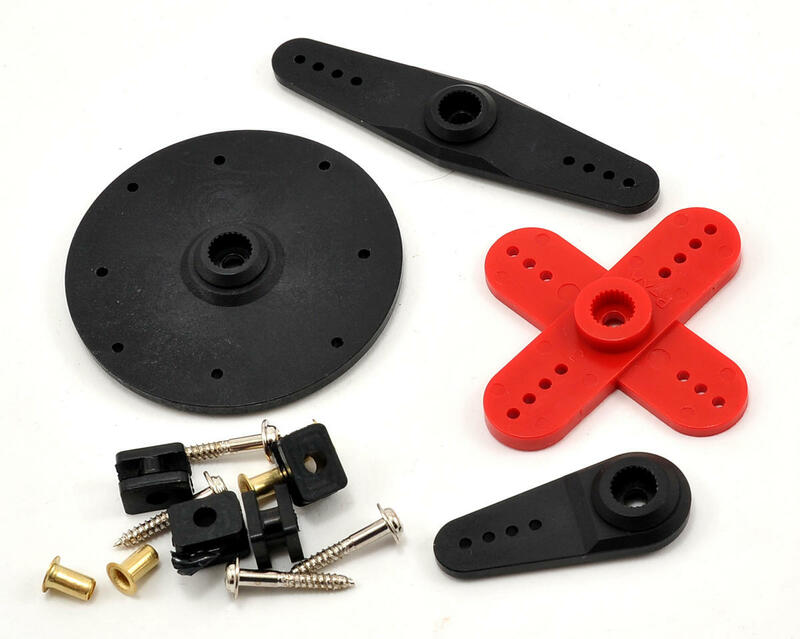 BTW... when you use a metal gear servo... make SURE your servo saver or servo horn WILL fit the output shaft on the servo (that costed me another $8-$10... and i had to buy a kimbourough and that servo saver has multiple tips to ensure it will fit but i had to drill out a couple holes so i could fit the steering linkage bolt thru it. so the hitec servo may fit in your model but it WILL NOT FIT in something that has to have the servo's wire in the middle of the case (it doesn't make sense but the wire is heavy duty but the sheathing/insulation to me feels easy to cut/damage during installation). this is only a fair warning... check VERY CAREFULLY before you buy your servo if special ordering. 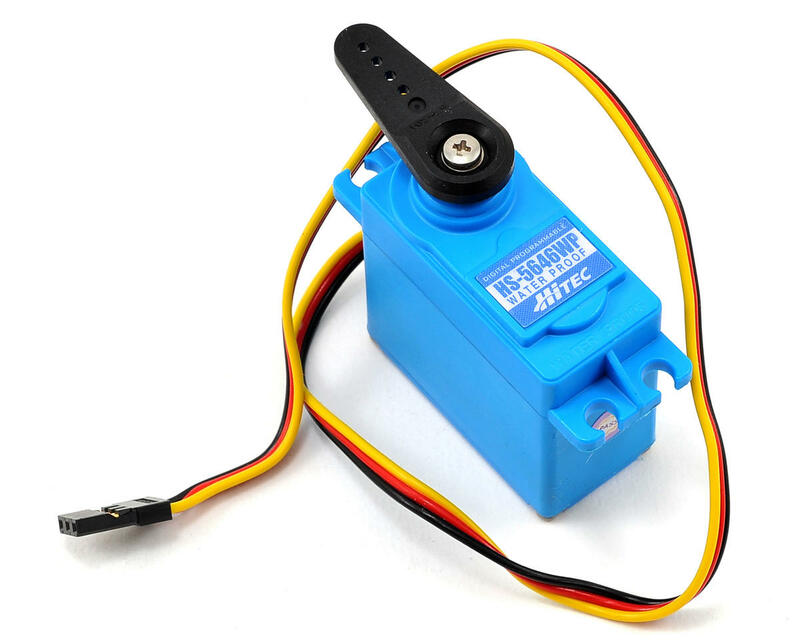 I also found out that if i bought this hitec servo from amains... they could have taken the servo back and i could've put the money back towards the servo of my choice minus the difference that i would have to pay back.